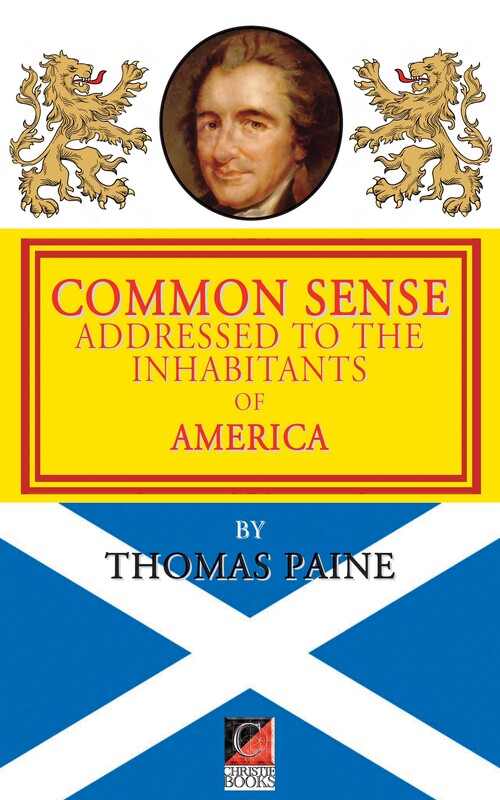 In Common Sense, (eBOOKSHELF) Thomas Paine argues eloquently for American independence from autocratic rule from London Whitehall, an argument that begins with more general, theoretical reflections about government and religion, then progresses onto the specifics of the colonial situation. It is also an argument that has some bearing on the current ongoing movement for Scottish (as well as Catalan and Basque…) independence. Distinguishing between government and society, Paine argues that the latter is all that is constructive and good that people join together to accomplish. Government, on the other hand, is an institution whose sole purpose is to protect us from our own vices. Government has its origins in the evil of man and is therefore a necessary evil at best. The sole purpose of government, he says, is to protect life, liberty and property, and that a government should be judged solely on the extent to which it accomplishes that goal.